A deadly patch of warm water along the American West Coast called the ‘Pacific blob’, stretching all the way from California up to the Gulf of Alaska, has killed literally billions of marine species and birds since around 2011. 300 tons of radioactive water leaking daily into the Pacific daily and no known technology to fix it. More signs indicate the Northwestern coast of Canada and the US is dying. 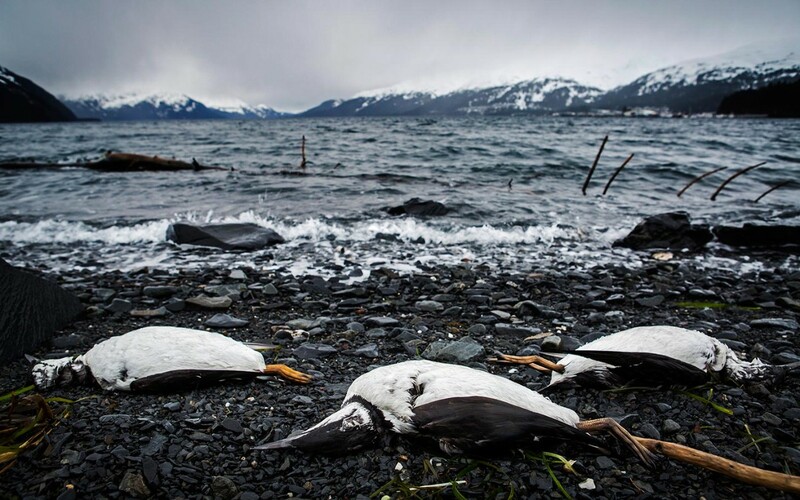 The dead birds are mostly northern fulmars and short-tailed shearwaters, species that migrate long distances to spend summers in waters off Alaska and other northern regions, the U.S. Fish and Wildlife Service reported. Also in the mix are some kittiwakes, murres and auklets, the federal agency said. Necropsies so far show that the birds are emaciated - with no food in their stomachs or intestines and little or no fat on their bodies. "Right now, we know that they are starving to death and can't hold their heads above water, and they're drowning," said Ken Stenek, a teacher in Shishmaref and volunteer in a program that monitors seabirds. The precise toll is unclear. Fish and Wildlife said in its bulletin about 800 dead birds had been found since early August, but surveys are continuing and the known toll appears to be mounting - and experts caution that birds washing ashore represent only a small fraction of the dead. Of this latest wave, the first was found on the Pribilof Islands in the Bering, the Fish and Wildlife Service said. Since then, dead birds have washed ashore on Bering beaches and as far north as the Inupiat villages Shishmaref and Deering on the Chukchi Sea mainland coastline. The new die-off follows a massive loss of common murres in 2015 and 2016, the biggest murre die-off on record in Alaska, and a precursor to near-total reproductive failures for murres in the Gulf of Alaska and Bering. It also follows the deaths of hundred of puffins found last fall on St. Paul Island in the Pribilofs and, prior to that, mass deaths of murres and auklets along the U.S. West Coast. In each death wave, starving birds have left emaciated carcasses, and each wave has been associated with unusually warm marine waters. The Bering event is the latest in an "unprecedented series of marine bird die-offs" over the last four years in waters from California to the Arctic, said Julia Parrish, executive director of the Coastal Observation and Seabird Survey Team, or COASST, managed by the University of Washington. It indicates that the pattern is moving north, said Parrish, a professor at the UW's School of Aquatic and Fishery Sciences. "This just seems like the next chapter in the story," she said. This is the fourth consecutive year when the Bering has been "exceedingly warm," said Rick Thoman, climate science and services manager for the National Weather Service in Alaska. This year, early spring ice melt allowed open waters to begin absorbing heat early, Thoman said. "You had much longer for the water to get warmer this year," he said. Stenek, who volunteers for COASST, said he and two other teachers found about 100 dead birds around Shishmaref. The carcasses appear to be more plentiful on St. Lawrence Island in the Strait. Surveyors have found about 500 dead birds near the St. Lawrence village of Gambell, Stenek said. He and his colleagues have found some birds alive but in very bad shape, he said. That is similar to reports from elsewhere, Parrish said. Birds found alive are "moribund" and being tossed around by the waves rolling ashore, she said. "They're kind of past the point of recovery," she said. "They're so weak they can't hold their heads up." Some carcasses have been examined at the U.S. Geological Survey's National Wildlife Health Center in Wisconsin, but results are inconclusive. "We know that they're starving. Their bodies are emaciated," said Robb Kaler, a biologist with Fish and Wildlife's migratory bird program. What is causing the starvation is unknown, he said. He had just packed up four additional fulmar carcasses Monday for express delivery to the Wisconsin centre. "There's no sign of disease. We will continue to test for that," Kaler said. And investigations are continuing into possible links to toxins produced by harmful algal blooms, he said. Parrish said the latest die-off has a few special characteristics. The affected birds, northern fulmars and short-tailed shearwaters, "are different kinds of species than all the other die-offs that we have seen," she said. They are long-distance migratory fliers, with the shearwaters coming from as far away as Australia, unlike murres, puffins and auklets, which winter in North Pacific waters. 2015 and 2016 were the two hottest years ever recorded; we should not be surprised therefore to find our oceans to be showing signs of stress as the delicately balanced eco system is also being stretched to its limit. That water was hotter and stayed warm longer than at any time since record-keeping began. 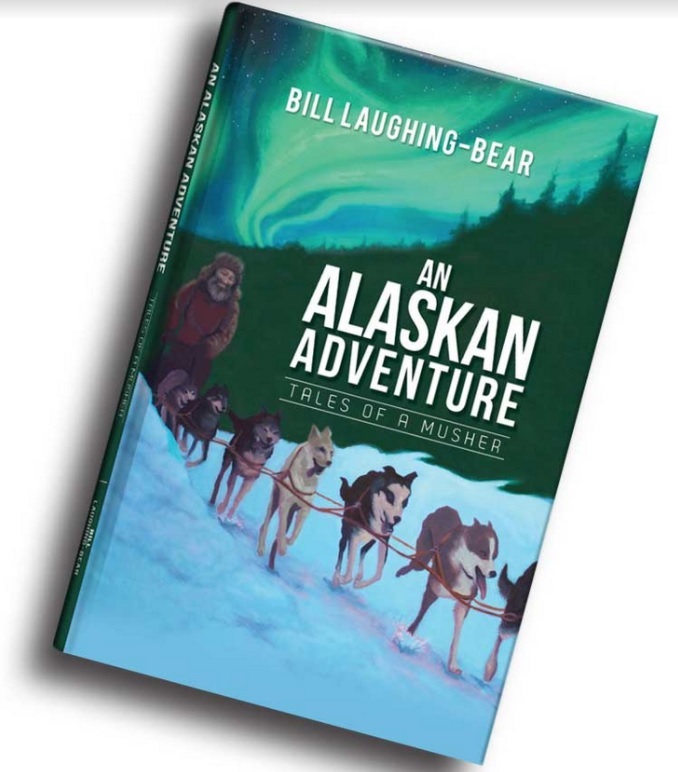 It stretched across the Gulf of Alaska, where a high-pressure system blocked storms, preventing the water from churning to the surface and mixing with air. More warm water eventually moved inward along the coast as far south as California, altering how favourable the environment was for the zooplankton that many fish and birds, including Cassin's auklets, feed on.